Is Blogalicious 2009 Only for The Mommy Blogger? 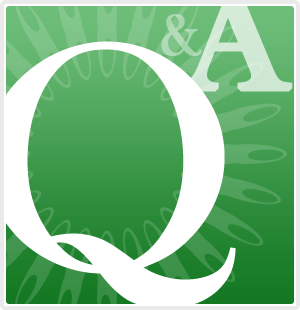 We’ve received some really good questions lately and it seemed fit to share the answers with everyone. So here goes. If you ever have any questions, don’t hesitate to send them to us and we will get back to you. You can send all inquires to info(at)blogaliciousweekend(dot)com. 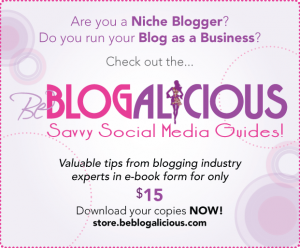 1) Question: Is Blogalicious 2009 a blogging conference for moms only? Answer: Nope. Blogalicious is a conference for all women, mommy or not. Some of our attendees have children and some of them don’t. Heck, some of our mommy bloggers are using this weekend for some much deserved “me time” while also pursuing their passion for blogging. 2) Question: Why Blogalicious 2009? There are already so many other conference, do we really need another one? Answer: While there are several other great blogging conferences, before Blogalicious 2009, there were no conferences with a target audience of the women of color. Women of color are all over social media. We document our lives on our blogs, we promote our latest work on our blogs, and we are new moms, veteran moms, non-moms, and all of the above. (see question #1 above). As women of color in social media, there are some issues directly related to us that have not yet been addressed in a forum like Blogalicious. We saw the void and took action. 3) Question: Why did you pick Atlanta for the conference location? Answer: Atlanta is a beautiful city. The weather in October is nice, hotels are great, and the airport is an easy one to fly to, even from the West Coast. Between the The Georgia Aquarium, Stone Mountain Park, World of Coca-Cola, there are so many fun things to do before and after the conference. And since Blogalicious Weekend falls on Columbus Day weekend, you can spend an extra day or two to visit just some of these great places. Visit the Atlanta Travel Guide for ideas on more fun things to do in Atlanta. 4) Question: What can I expect while at Blogalicious 2009? Answer: You can expect to feel at home at our conference. We’ve designed a great weekend with many activities. We’ve also partnered up with some fabulous companies that have designed some really great opportunities for the weekend- just for you. We can’t wait to share all the exciting things planned and are bursting at the seams to spill the beans. As soon we finish up all the paperwork and links and website are done being created – again, just for you- we are going to share all the juicy details. Sounds like a fantastic time- way to go ladies! I can't wait to hear what else is planned! Hooray! I can't wait to go to Atlanta!